The CYRUS 150 is the brightest 50w light fitting suitable for offices, corridors, shopping centers and light industrial applications. The fitting is pre-wired and ready to be used with the LED boards that are installed on the aluminium back-plate. You can customise it by adding differente functions. The luminous flux (5750 lumen) is ideal for offices, retails store, schools and warehouses. The CYRUS led fittings are delivered to you with all the accesories fully wired. 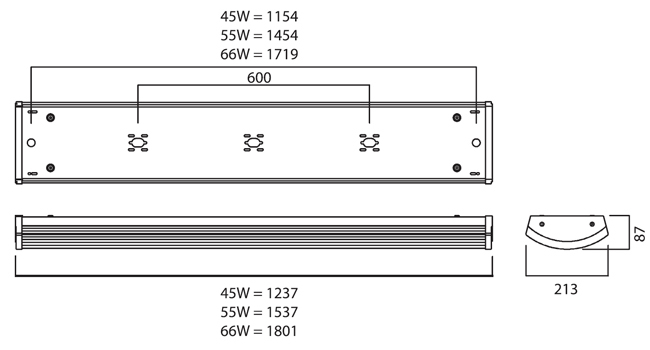 Polycarbonate controller for surface or suspended installation.